I like books! 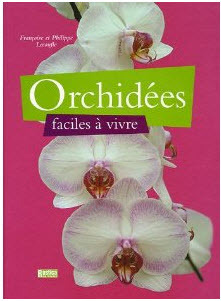 Have plenty of them and most of my orchid books are in French. A very heavy book (7 lb), full of pictures but was a little disappointed by the content, I was expected more about the plant description. “Un amour d’orchidee – le mariage de la fleur et de l’insecte” – My favorite book! All about the reproduction of the orchid and the love between orchid and insect. 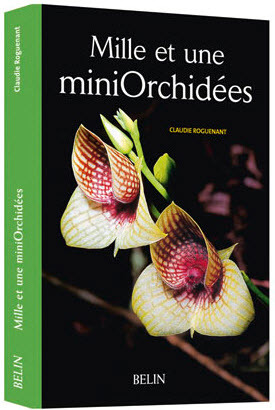 “Milles et une miniorchidees” – A bible if you like mini orchids. 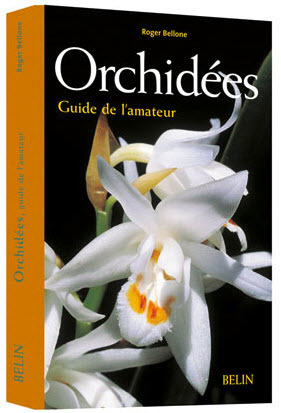 “Orchidees – Guide de l’amateur” – Belin. 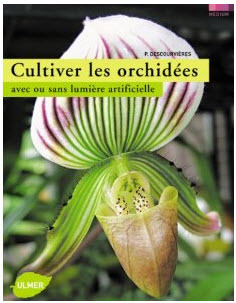 “Cultiver les orchidees avec ou sans lumiere artificielle” – another bible to know everything about light, watering, temperature, especially if you plan to build a terrarium in our appartment.